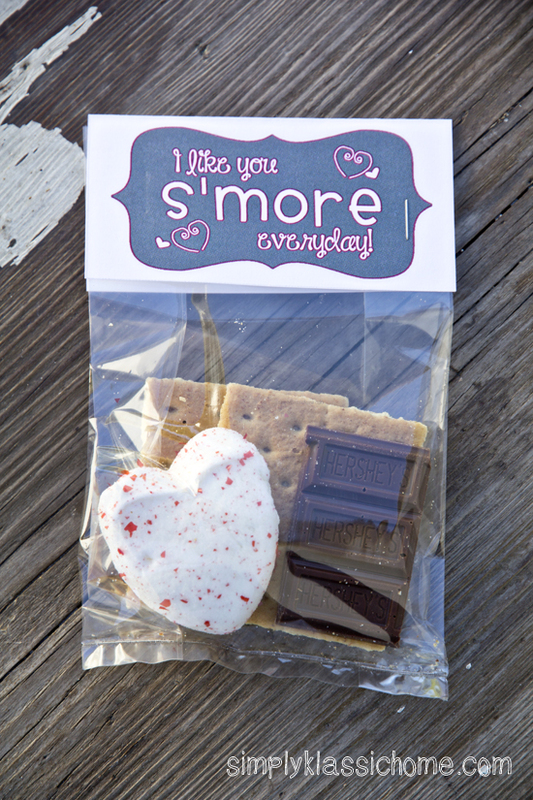 Have I mentioned I’m not a big fan of Valentine’s decor (or Easter, or 4th of July…)? I can fit all the decorations I have for each of those holidays in one box. Probably a shoe box. But my kids like it so I try to make the best of it and put a couple of things up to make them happy. Turns out it kinda made me happy too! When it comes to decor, I like things pretty simple. And easy. Easy is good. So after stringing up my burlap heart garland, I decided to take down the Christmas wreath (don’t worry, I still have one on my front door) and add a couple of things to prettify the mantel. (Sidenote – I’m totally surprised that “prettify” is a word. I kind of liked thinking I made it up. “Sidenote,” however, is not). 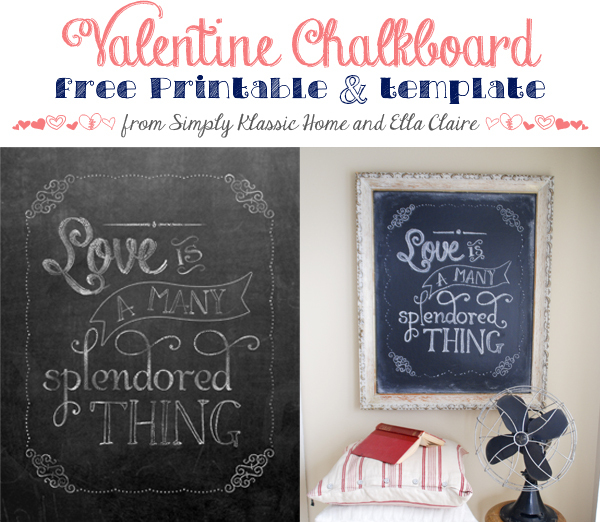 I enlarged the chalkboard printable (get it here) to 11″ x 14″, put it in a white frame, and set it next to the canvas. I love this photo of my kids, taken by my friend Lorrie Prothero. She asked them to look at each other; instead they knocked foreheads, on purpose. The whole mantel took me five minutes to pull together. 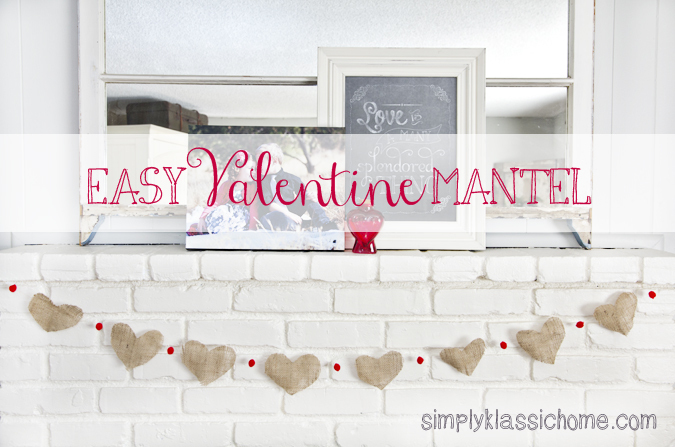 See, even if you’re not one to decorate for Valentine’s Day, with a few supplies you can pull together this simple mantel. 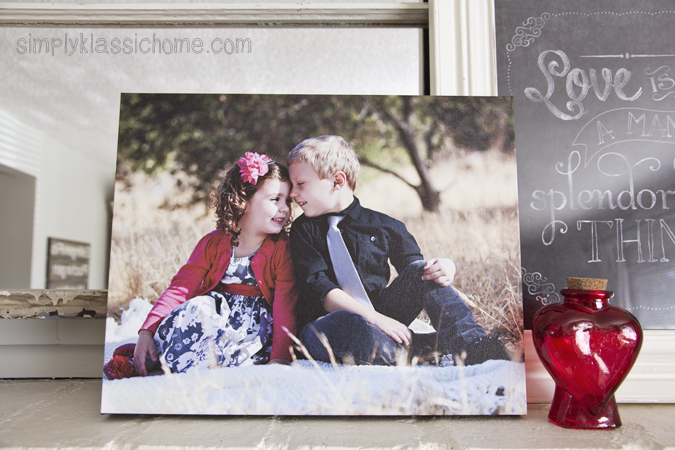 Take a photo of your kids, add a cute printable and a simple garland, and you’re done. So easy and quick you’ll be smacking yourself on the forehead wondering why you didn’t think of it sooner! ! I wish there was a laugh button because I would push it for you to hear right now. You just made me laugh with your last comment. Love your mantel..love the garland. Love the pic of your kids, adorable! This is so precious! Love it and am totally jealous of your pretty mantel! Cheap and easy!! Hahahahaha….. Love. Your mantle is so happy. I love it. This is completely charming…and your children are beautiful! Ha! ‘Cheap and easy’- this is why I heart you! Love the simple, fresh mantel!! Love the photograph of your kids!!! You couldn’t have asked them pose like that, it would never have turned out as adorable as this. Just love when you can “feel” the love in a picture. P.S. You make me laugh! Thank you! I love it all. I, too, am not a fan of Valentine’s Day decor, per say. 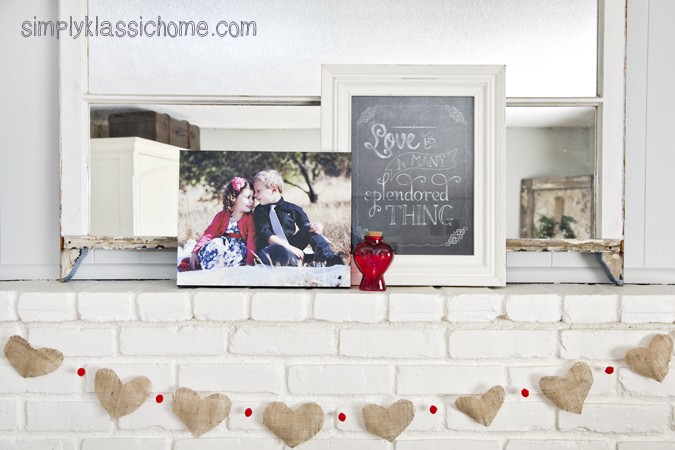 But I do believe that the loveliest things about your mantel is the picture of your children loving one another! 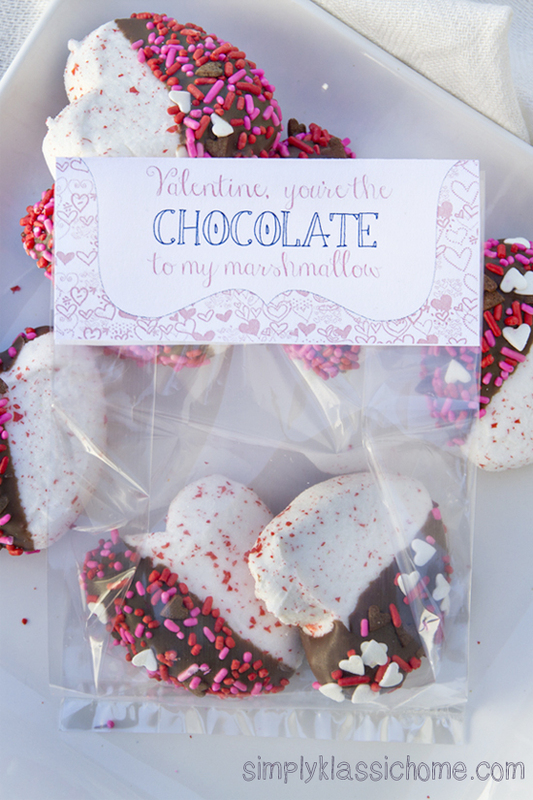 Your blog always reminds me that I don’t need to complicate things to make them gorgeous. 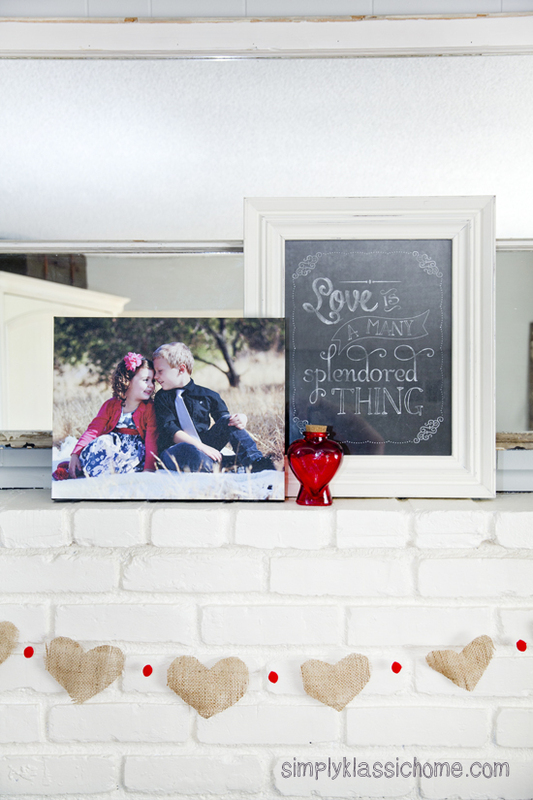 Great mantel, adorable kids!